2. The iPhone 6 Plus Home Button replacement can support all the basic functions except for unlocking the iPhone with fingerprint. This LCD screen and digitizer assembly with frame and home button replacement for iPhone 6 Plus is brand new and high quality. 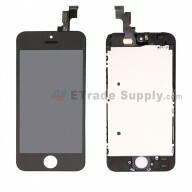 This screen assembly replacement is available in Black, Silver and Gold. Here is the black one. 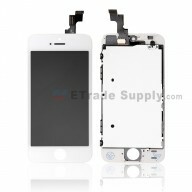 This LCD screen replacement comes with the front frame and home button and other small parts. 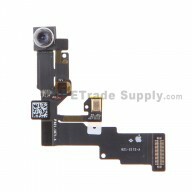 ● Special repairing tools are required for assembling or disassembling, as the Apple iPhone 6 Plus LCD display and digitizer are hermetically attached. Here is the iPhone 6 Plus teardown video hope you can get some tips from it.